Over 30 years of Marine Construction Services in Panama City Beach, FL. Proudly serving Bay County and surrounding communities and areas. Professionally constructed and built to endure the tough conditions in our area. We can suggest the best design for your needs and lifestyle. The Golden Boat Lifts we offer are simply put, top notch. Designed for powerboats, pontoons, jet skis, sailboats and yachts. 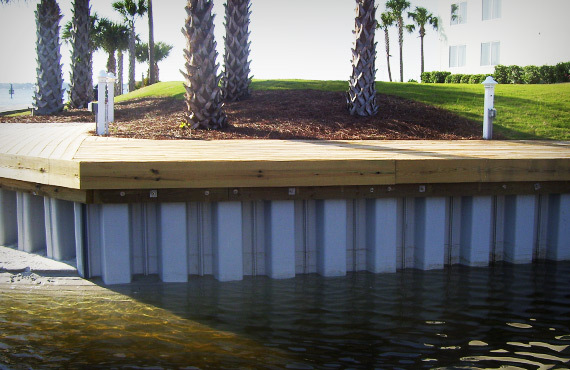 We have extensive experience in new construction and repair of Seawalls and mooring pilings. Giving attention to aesthetics as well as function. Family owned and operated, RJ Gorman Marine Construction is a full service, second generation, certified/registered marine specialty business dealing in all types of marine construction. We can provide a free Marine Construction Quote on all of your waterfront needs, including docks, seawalls, boat lifts, boat houses, retaining walls, foundation pilings, or marinas, and are happy to answer your questions. We provide new installation and design as well as repairs and services. RJ Gorman Marine has over 30 years of experience in marine construction in and around Bay County. We serve surrounding counties and cities including Destin, Santa Rosa, Panama City, Lynn Haven, Callaway, Parker, Panama City Beach & Port St. Joe. We use the highest quality materials and workmanship while always keeping the customer’s budget in mind. We’re proud to be living and working in Bay and surrounding counties and serving our customers waterfront needs. We understand the importance of doing more than just a good job, and that our customers depend on us to help protect their waterfront investments. RJ Gorman Marine Construction works to live up to our already excellent reputation of high-quality work, good communication and customer service. 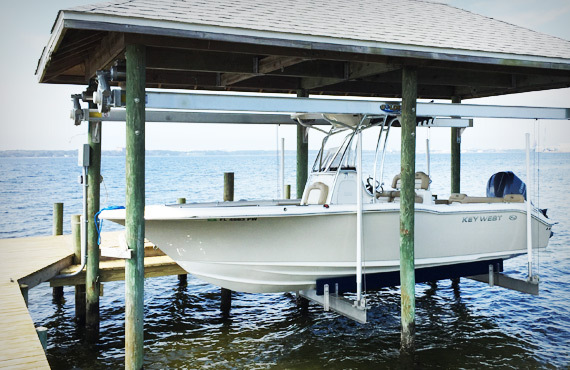 If you are interested in a marine contractor who is capable of any marine construction project and promises to work hard for your complete satisfaction, consider RJ Gorman Marine and request a Dock or Seawall Quote today. The dock looks great and it’s so nice to walk on now! Thank you much for repairing the water line as well. If anyone I know asks about dock work I’ll definitely be recommending Gorman Marine. Thank you for helping us complete our pier project. We are very pleased! We appreciate your sharing your friendship and expertise. We found RJ Gorman Marine at the Better Business Bureau web site. And how fortunate that we did! 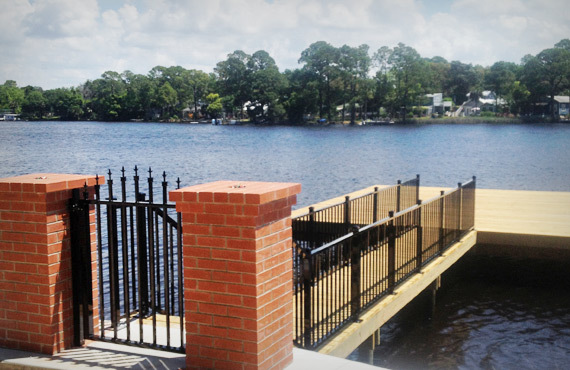 They went beyond and above expectations in building the seawall and dock on our property at Panama City Beach. Ricky & the crew did great work, very pleased…I really appreciate the affordable price! Gail and I are very happy with our new seawall and dock. We appreciated your professionalism from contract negotiation through completion. You delivered supper quality above expectation with minimal impact to our property at a competitive price. Your future should be very bright if you continue to as hard as you did for us. We want to thank you and your craftsmen for the professional repair work performed on our boat lift this week. Your crew arrived on time, with the proper tools and equipment and materials to complete the work. They were very courteous and completed the repair ahead of schedule and under budget. The Gorman family were a genuine pleasure to work with on our boat dock project. They were extremely patient and helpful throughout the permitting process and offered solid advice on all aspects of the planning. Justin and his crew were fast, careful, and accurate with the actual construction. The end product is a boat dock and lift that we are very proud of and will enjoy for many years.